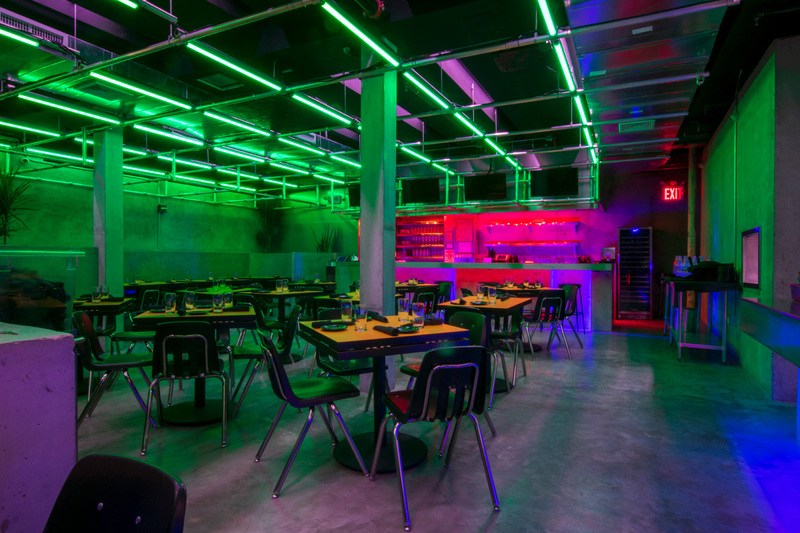 The Bushwick, Brooklyn, outpost of Danny Bowien’s San Francisco–born Mission Chinese Food opened recently. 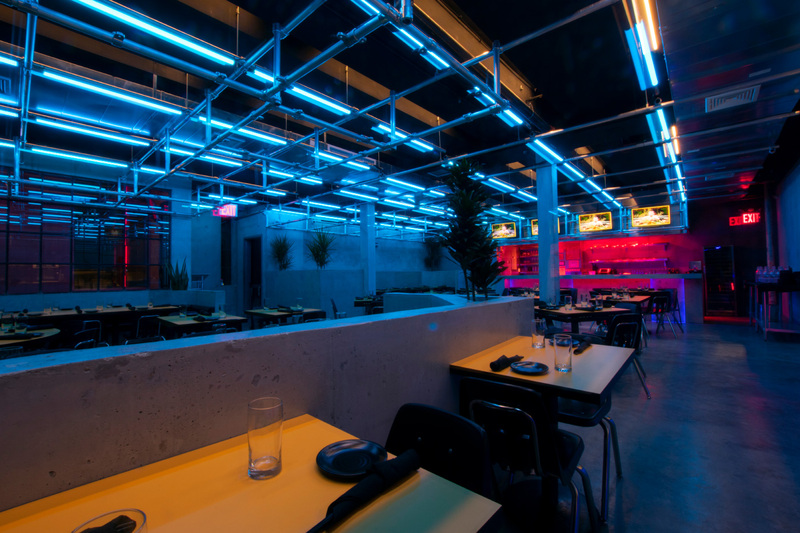 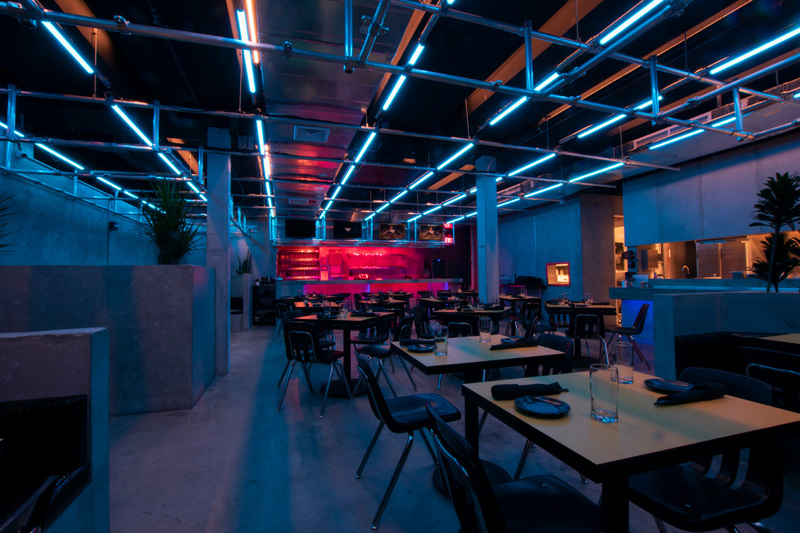 The new restaurant takes the borderline-psychedelic aesthetics of the downtown spot and restructures them, this time on a light-bright industrial grid in a space designed by Lauren Devine, Alex Gvojic, and Nikki Mirsaeid. 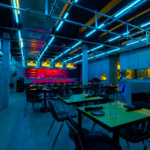 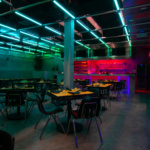 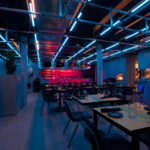 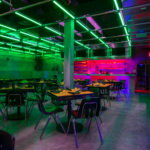 The tubular lighting crossing the ceiling was designed by none other than Nitemind, the studio best known for adding effects to raves and tours of artists like Mitski and Kelela, as well as for their more permanent lights at venues like Bossa Nova Civic Club, also in Bushwick. 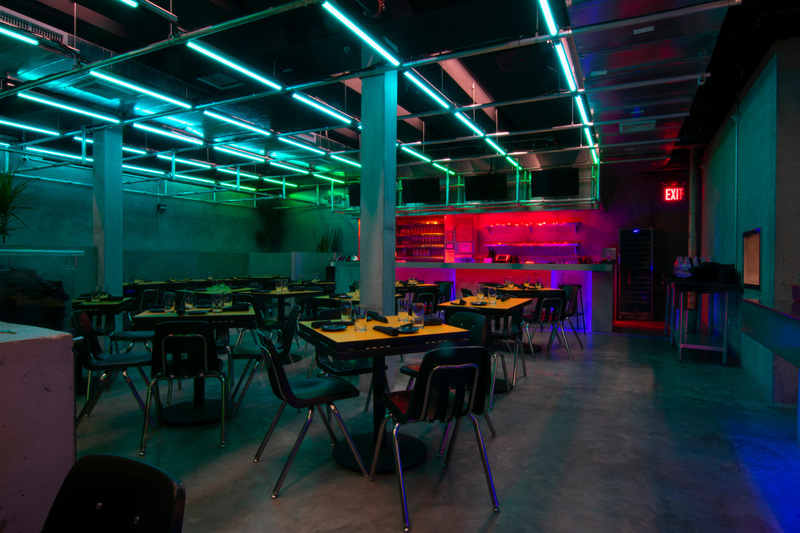 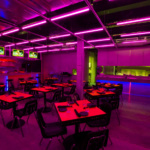 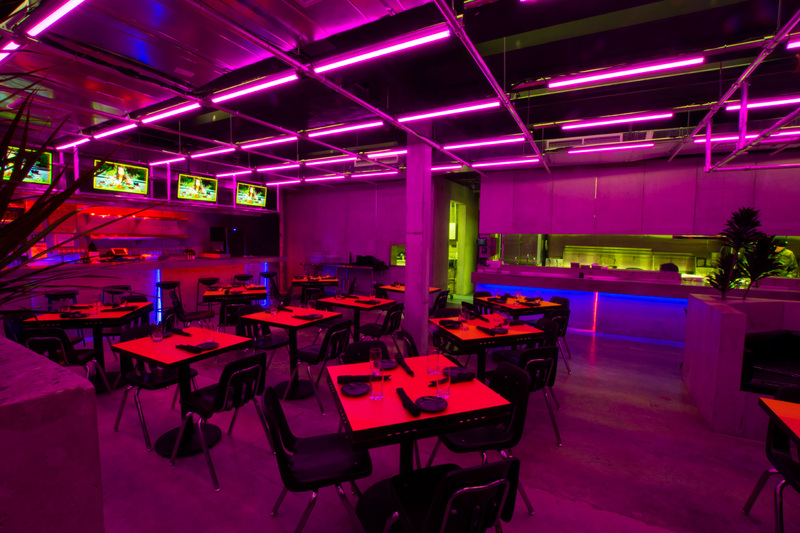 The overhead LED tubes shift through a rainbow of colors, dousing the space in shades normally reserved for hours much later than dinnertime; fittingly, the restaurant is located in the same warehouse space as the club Elsewhere. 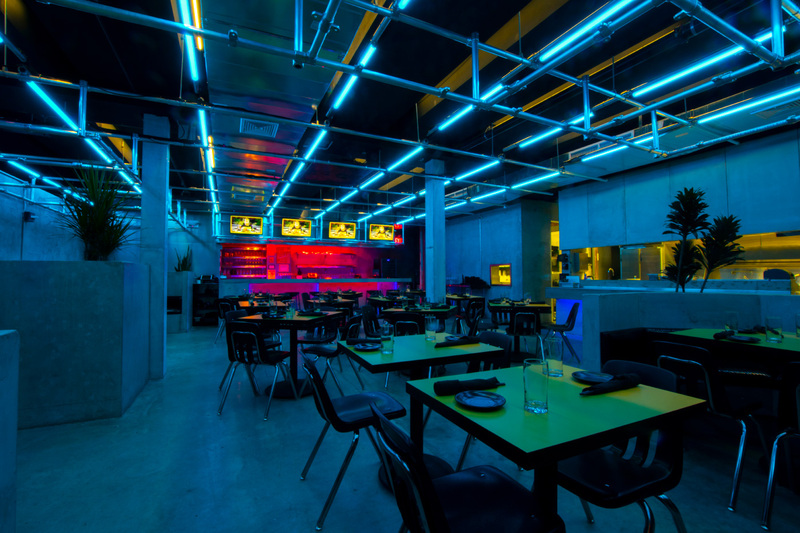 There are also unusual lighting fixtures in the bathrooms—The Matrix–themed colored codes descend in obscure calculations down the mirrors—and above the bar, TVs lined up in a row play silent film clips of people dining alone.